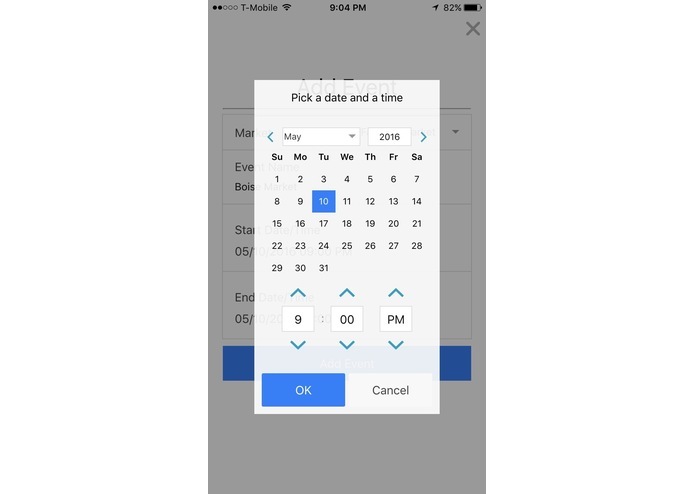 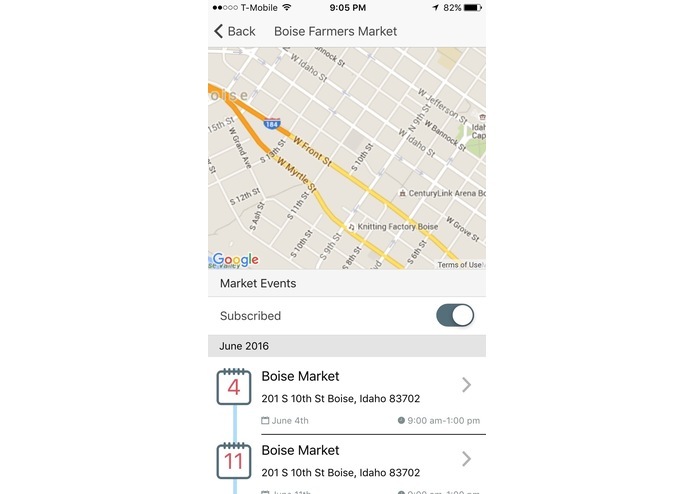 The mobile app allows you to search upcoming farmers markets by distance or duration, displayed in chronological order. 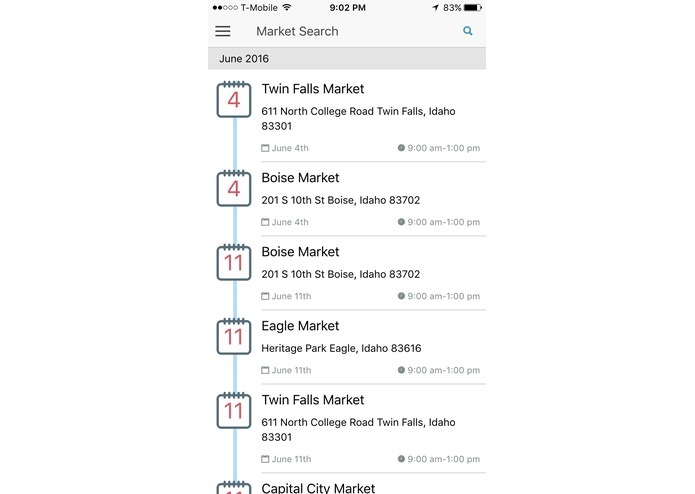 As a user, you can browse upcoming events and their location, as well as vendor information. 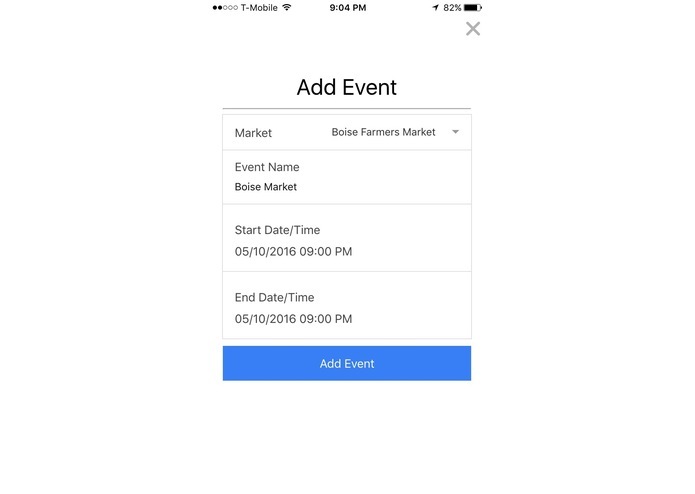 As a vendor, you can subscribe to events and/or markets to let users know that you will be in attendance. 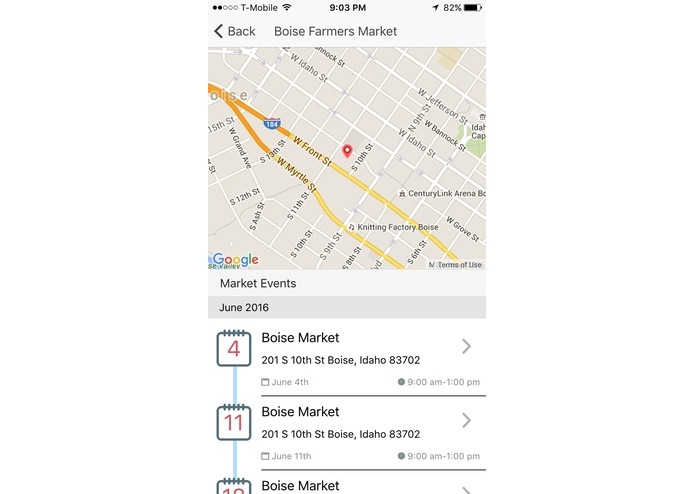 This app will provide market-goers with all the information necessary to stay informed about Idaho's farmer's markets. 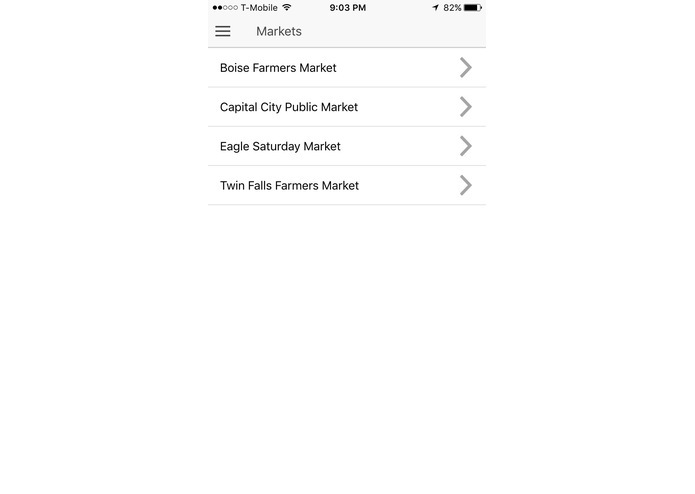 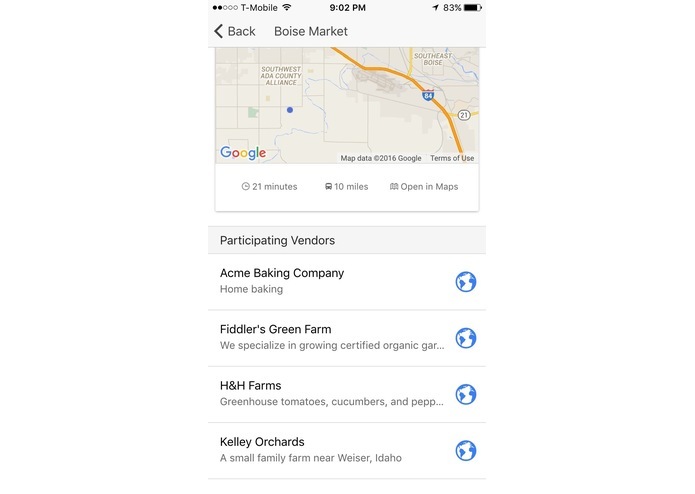 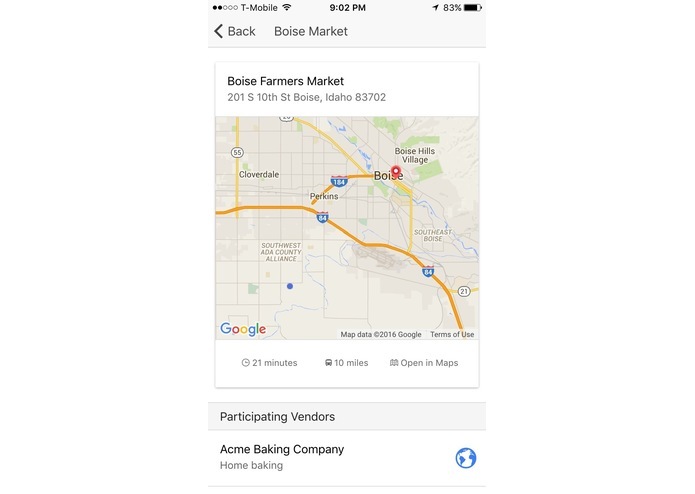 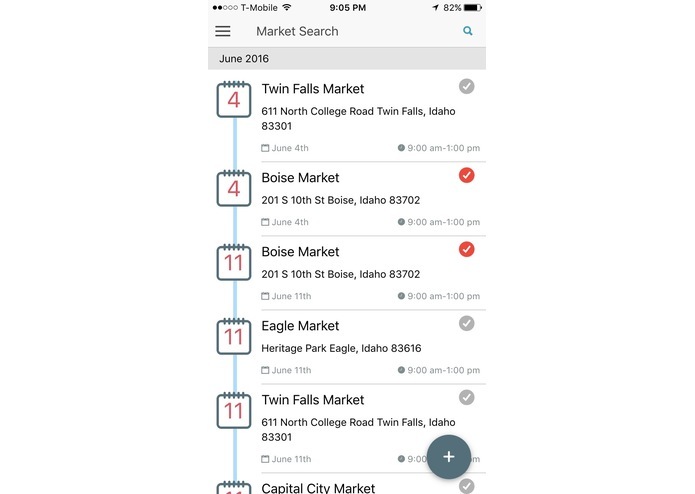 Idaho's Farmers Market is built with Ionic, a mobile cross-platform framework. 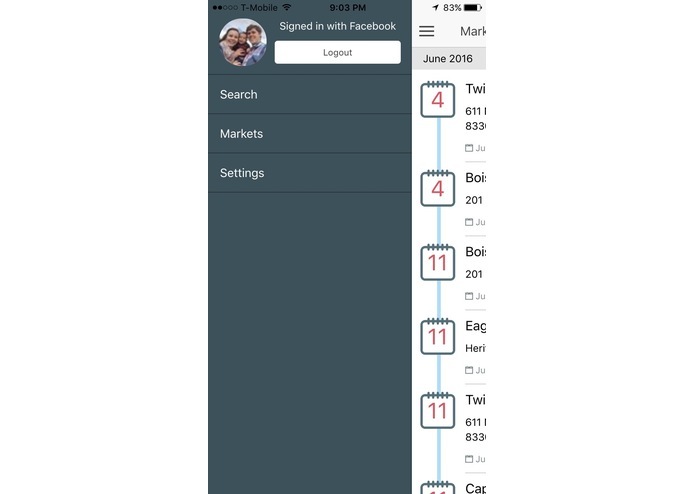 It can be run on both iOS and Android at the moment. 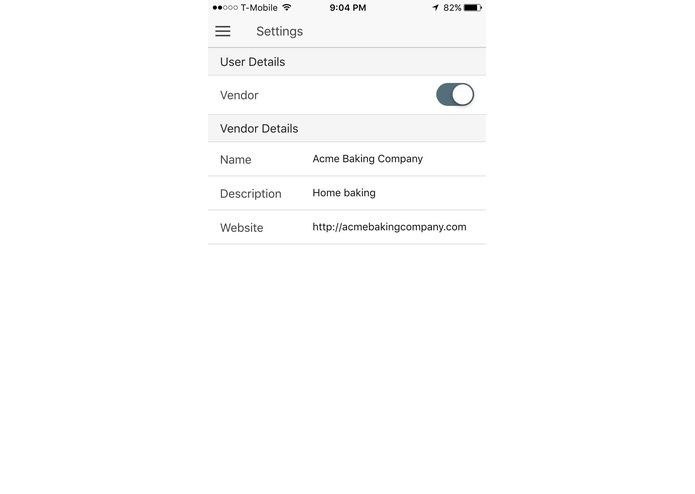 The mobile application links up with a custom API, which uses spring-mvc and amazon web services.